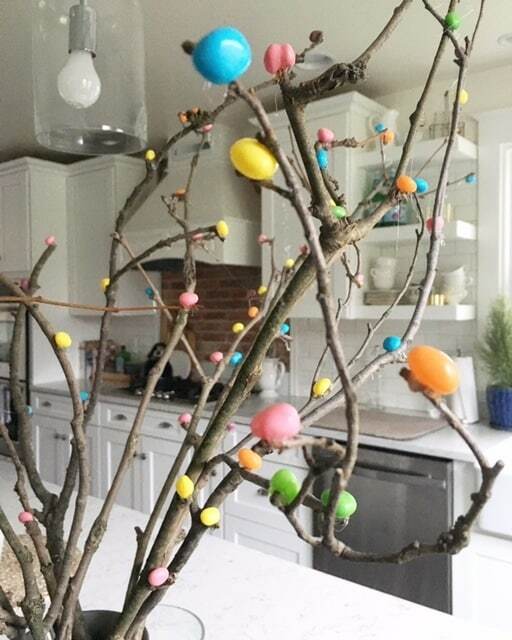 This is a super inexpensive, simple Easter craft that makes a big decor statement! 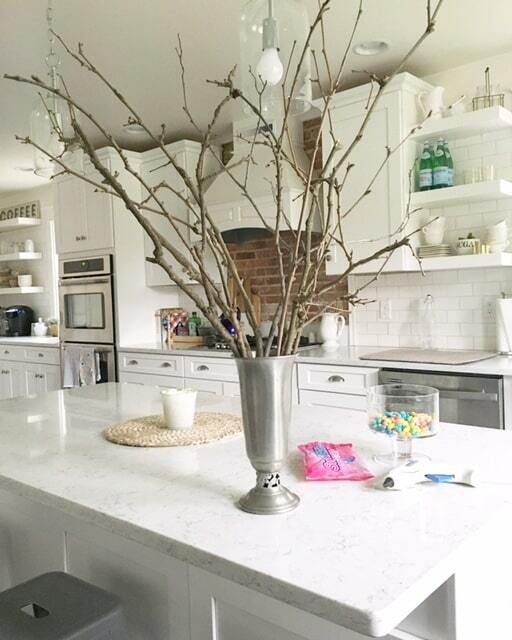 All you need are some branches, large vase, jellybeans and a hot glue gun. 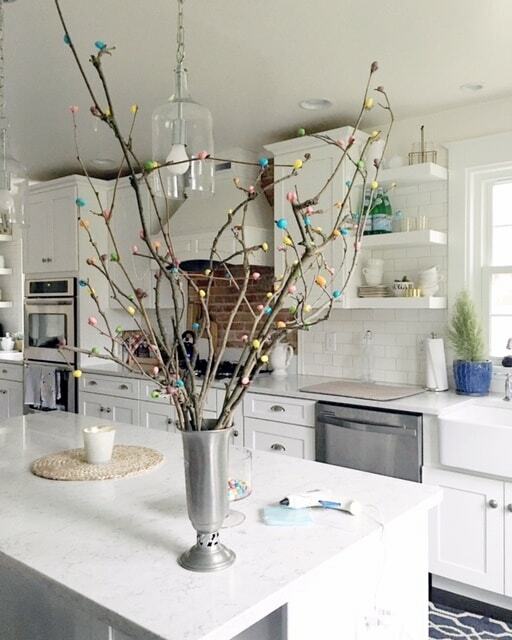 It’s the perfect time of year to be picking up branches from the yard and now you can make them beautiful again by bringing a little bit of “outside” in and decorating them with jelly beans! 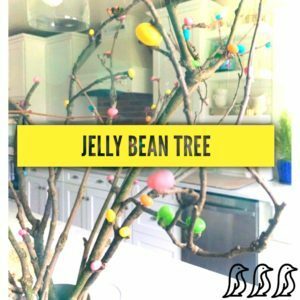 I prefer the pastel colored jellybeans to give it a more “Eastery” feel, but the option is yours of course as to which brand you use. 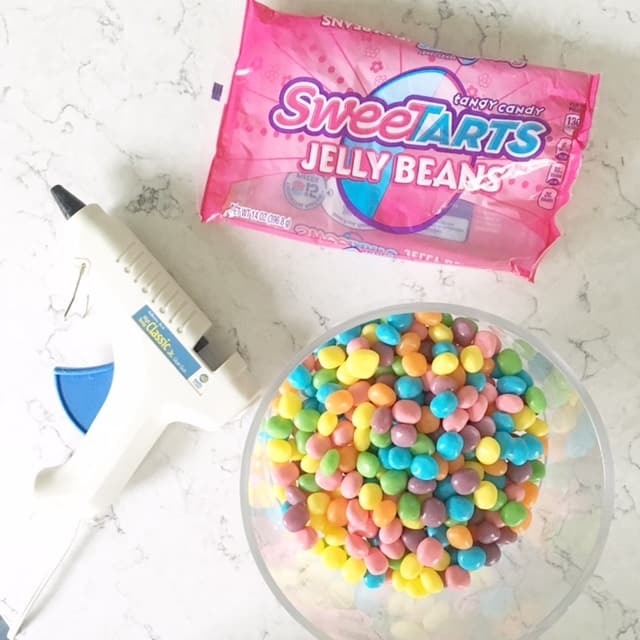 Carefully use the glue gun to attach the jelly beans all over the branches. 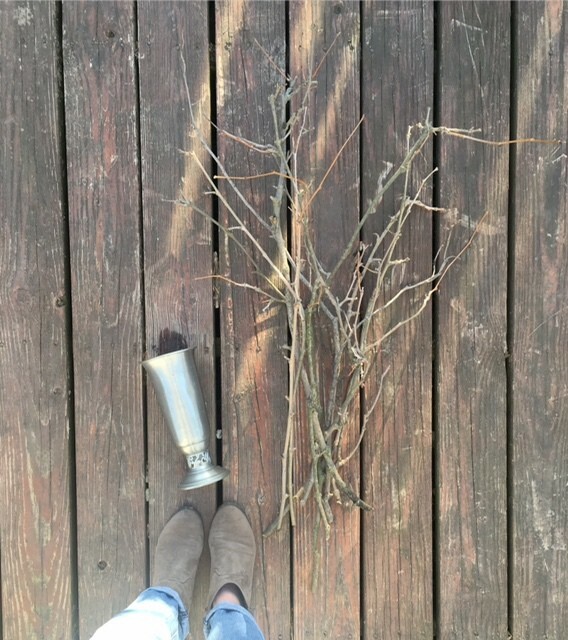 My 5 year old enjoyed helping me with this project and we were thrilled with how beautiful it turned out.